Lens Description: A Teleconverter is a great way to extend the focal length of your lens. 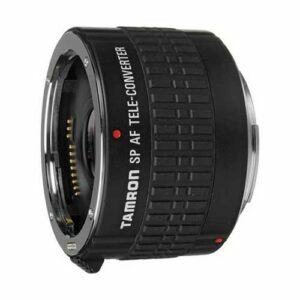 This Teleconverter will extend the focal length of your lens by 2x giving more magnification. The Tamron Pro series Teleconverter offer superior optical construction for improved image quality.